Custom Wood Framed Wall Art $18.99 (Was $49.99). Wood Framed Family Wall Art $18.99 (Was $49.99). Bring a farmhouse feel into your home with this custom design handmade art piece. Ready to be displayed in your living room, kitchen or outdoors. These signs are all the new rage in home decor. These frames are one-of-a-kind and no two will look the same. 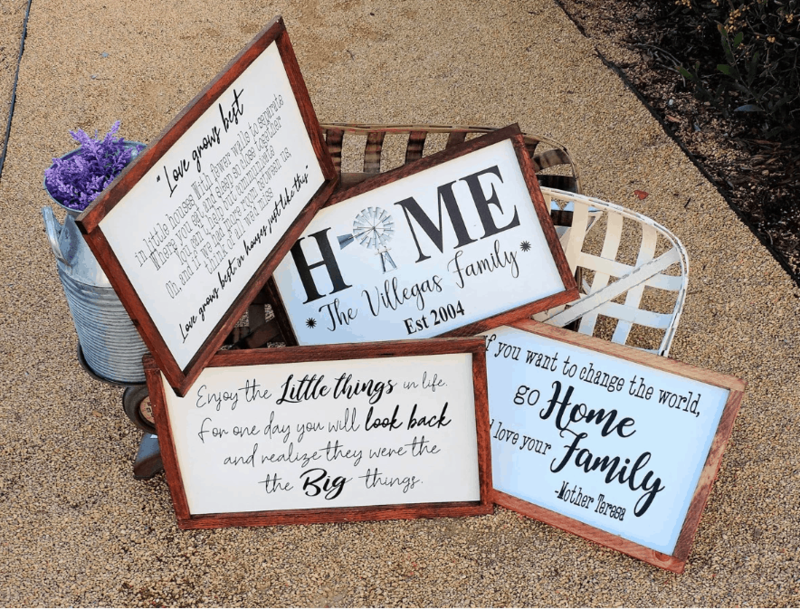 Made out of birch wood these signs are meant to last without compromising in style. The stained frame will make your custom sign stand out in any room. Get yours here while supplies last.